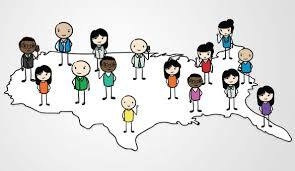 Over the last few years since the Every Student Succeeds Act (ESSA) became law, state departments of education have developed plans to implement the provisions of the legislation. While each state plan has its own characters and its own priorities, they all address the key provisions of the law and they all seek to dramatically enhance each student’s chance to be successful. As we have analyzed state plans, the ways that we can help schools meet the often ambitious goals of ESSA have emerged. Decreasing the student achievement gap across all subgroups. We have helped significantly narrow the achievement gap within a single school year for economically disadvantaged students, students in special education and English Learners. Achieving the goal of college- and career-readiness for all students. Some of the most important skills for college- and career-readiness are executive functions and related “soft skills.” We develop the cognitive infrastructure for these skills in a sustainable manner that also transfers to STEM and other academic priorities. Operationalizing the principles of Universal Design for Learning. 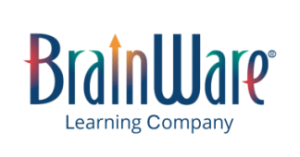 UDL recognizes individual differences in aspects of cognitive processing, something we address directly through assessments that identify an individual’s student’s learning profile and direct training of cognitive processes. Integrating assessments and interventions for Multi-Tiered Systems of Support (MTSS) across social/emotional and academic factors. As MTSS seeks to determine root causes for struggling or under-performing students, our tools enable teachers and administrators to identify non-academic (i.e., cognitive reasons) for a student’s difficulties. This results in strategies and interventions based on actionable data, rather than guesswork, enabling teachers and administrators to unpack the learning process and be more strategic in the application of resources. 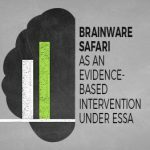 ESSA emphasizes the use of programs and interventions that are based on and demonstrated to work in well-conducted research. Multiple studies have been completed on our programs, including peer-reviewed published research and field studies at all evidence levels defined in ESSA. 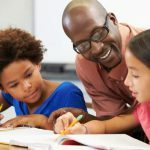 Educators who work with students with deficits in underlying cognitive processes that impede their ability to learn to read, write and do math typically use three categories of strategies to help students receiving special education services: Accommodation, Curriculum Modification, and Compensatory Strategies. The purpose of these strategies is to bypass the cognitive processes that are weak in order to minimize the impact of processing deficits. Thus, for example, if a student has limited working memory capacity and can’t remember a set of three instructions, the teacher would eliminate the need to hold three items of information in working memory, and, instead, give the instructions one at a time. Training to overcome cognitive deficits has been known for decades as it is practiced by various therapeutic disciplines, such as vision therapy, speech/language pathology, neurology, and psychology. Our approach uses multidisciplinary clinical therapy techniques in a digital game-based format to directly remediate underlying cognitive skills by providing comprehensive and integrated cognitive training, working on 41 skills in the areas of attention, memory, visual processing, auditory processing, sensory integration and logic/reasoning. 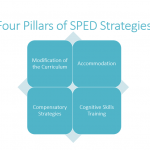 Significant cognitive gains are consistently achieved for students in special education, with those gains translating into better academic performance and narrowing of the achievement gap. In recent years, poverty’s impact on cognitive development has been more widely recognized in education, as has the critical importance of cognitive skills for academic success. The neuroscience evidence reveals the impact of poverty both on brain development and differences in cognitive skill performance related to socio-economic status (SES). Further, the longer children live in poverty, and the greater the degree of poverty, the more marked the effects. Cognitive development does not immediately catch up when children are exposed to good teaching and good curriculum. In fact, underdeveloped cognitive skills are important barriers to closing the achievement gap. The cognitive gap must be closed to support the impact of good teaching and good curriculum in closing the achievement gap. Our approach, thus, is developing foundational learning capacity for each student. 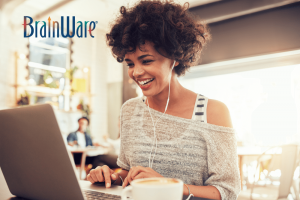 The cognitive training intervention provides a scalable way to significantly and measurably improve cognitive performance across multiple processes in a way that translates into better academic outcomes. 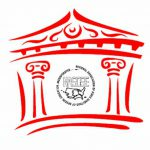 The application of such techniques in a scalable way has become viable in the last decade and a variety of public, public charter and private schools in the U.S. and elsewhere have begun to implement specific neurocognitive development programs addressing the very processes that have been determined to be most deficient in low-SES students with noteworthy results. Acquiring a second (or other) language is frequently a different process than learning a first language and may be helped or hindered in by an individual’s underlying cognitive skills. ELL students rely to a greater degree on executive functions such as working memory (e.g., holding information in mind while translating before the target language becomes automatic) and inhibitory control (e.g., suppressing first-language vocabulary options). Other skills, such as auditory processing, visualization and cognitive flexibility (particularly when the target language’s structure and syntax are different from the first language) are also important. We’re ready to help schools anywhere in their efforts to meet the goals of ESSA. To find out more, please Contact Us. For more information on the goals of individual state plans that we can support, click on the appropriate link below. Please note that this list will continue to grow, so if your state’s plan isn’t on this list, we can still support your efforts.